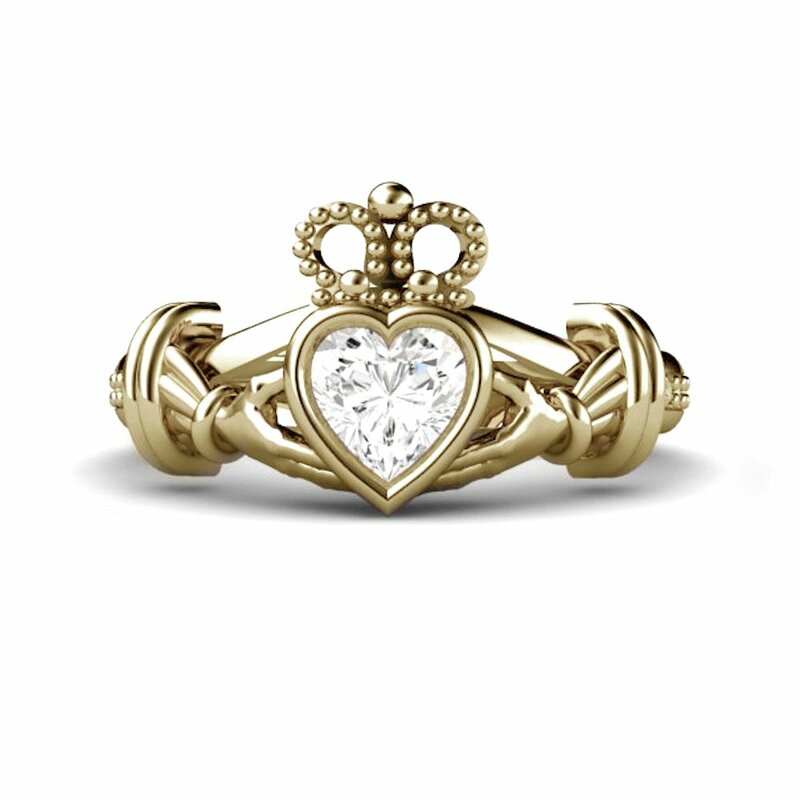 Claddagh Ring with style and craftsmanship to this timeless symbol. 9K Gold CZ Claddagh Ring with magnificent detailing and Micro Pave stone setting. Claddagh Ring with Micro Pave stone setting. Designed in 17th century in Galway. It is a creation which ﬂouts convention, an unhindered transformation with remarkable strength. Our Irish Jewelry collection traces the outlines of a style which is both modern, daring and yet traditional. 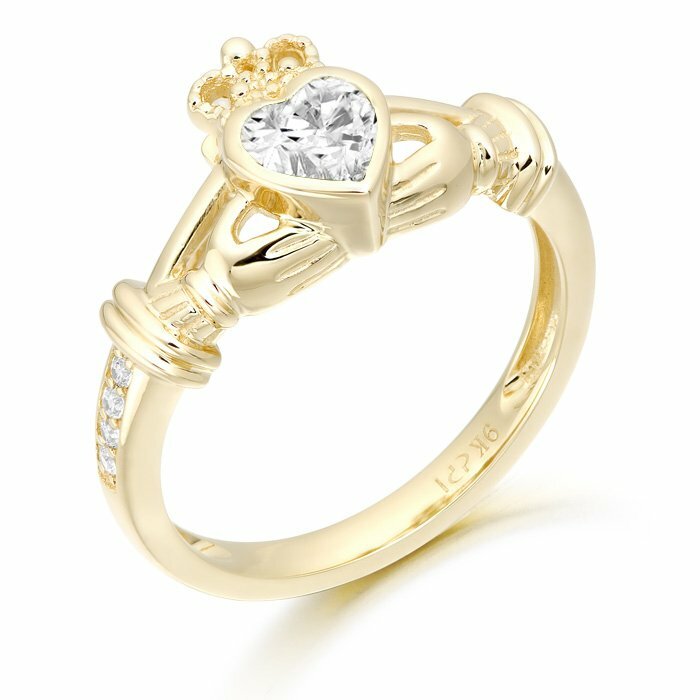 The Claddagh is Ireland’s everlasting commemoration of friendship, loyalty, and love. This 9ct Gold ladies Irish Ring pays attention to details, style and craftsmanship to this timeless symbol. 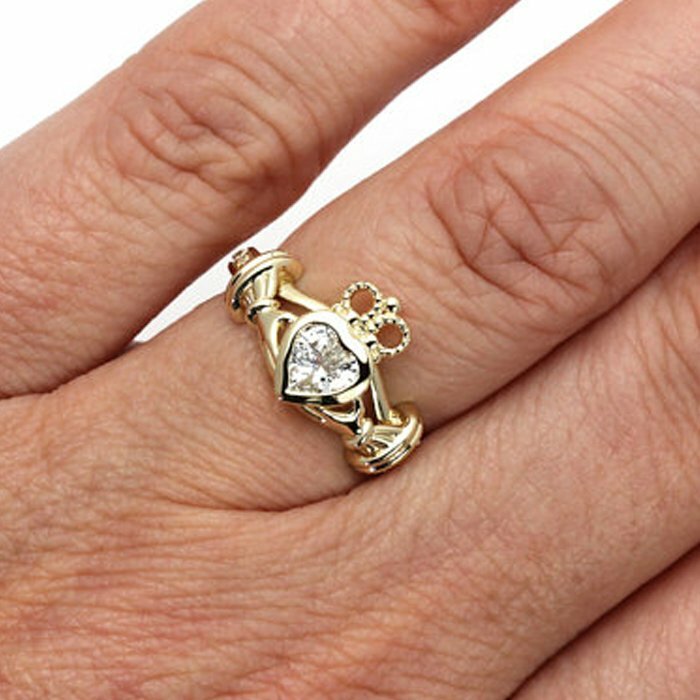 Also with its figurative representation which makes this Claddagh Ring stylish, unique and timeless piece of Irish Jewelry. Also it is the expression of an expertise that encapsulates excellence and delicacy. Take advantage of our free Worldwide Delivery.